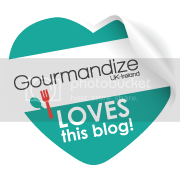 Remember that interview for Gourmandize I did awhile back? Well more amazing news, I'm going to be featured for the Christmas Countdown! Watch this space! The recipe featured is my Christmas Yule Log.The recipe is already on the site here.